There is no denying that one of the most outstanding ancient city of Iran is Yazd. Many visitors said that the city was actually designed to wonder anyone who entered it by its mystery and charm, refined culture, magnificent architecture and ingenious structure. The endless historical texture of Yazd is the main reason why this city is amazing! Quiet narrow alleys, old houses made with reddish mud adobes, the stunning structure of the high wind towers which work as an air conditioner for the houses during hot summer days, and the curved arcs are the elements of the historical texture of Yazd with an eye catching visual rhythm. Even for us as Iranian, Yazd is the most charming city with the purest oriental mood among the cities of Iran. 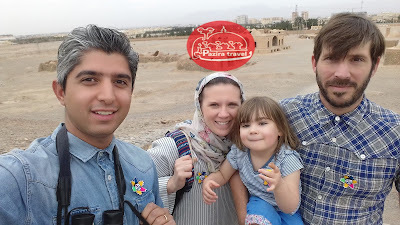 If you want to get a taste of an ancient Persia, Uppersia team will accompany you.